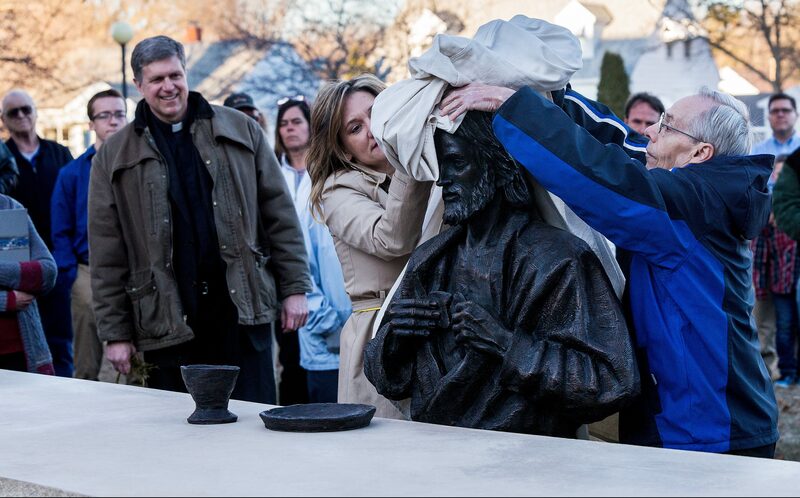 The Last Supper statue is unveiled at St. James the Greater Parish in Eau Claire. When Father Tom Krieg sits at his desk and looks out the office window, the serene face of Jesus greets him. Jesus is seated at a long table with twelve empty seats surrounding Him. Holding a broken piece of bread in front of His heart, He waits. He waits in the sun, and rain, the snow, and cold, through darkness and light. The visitors come. Up the concrete path they travel by foot to find this newly installed sculpture of Jesus at The Last Supper waiting for them. 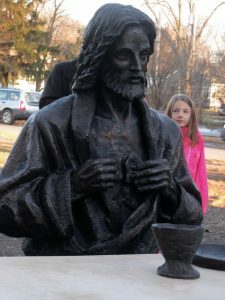 Cast in bronze, the life-size figure of Jesus was designed and created by Canadian artist Timothy P. Schmalz. On the concrete table are a bronze plate and chalice. According to Father Krieg, some of the visitors are families, some grandparents with grandchildren, couples, and lone visitors. During pleasant weather some bring a lunch and choose to occupy one, or more, of the empty seats around the table. The 12 empty seats are meant to represent each of the Twelve chosen by Jesus at the beginning of His ministry. People spend time in those seats by quietly reflecting, conversing with a friend, or breaking bread by sharing their lunch with Jesus. Father Krieg has had more than a few pastoral conversations with people under the gaze of Jesus. Children gathered around the table learn about the Last Supper and develop an understanding of the Eucharist. 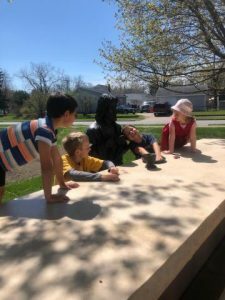 When Richard and Mary Piltz, two parishioners at St. James The Greater, in Eau Claire, approached him months later wanting to leave a visual, or some might even say “concrete,” legacy for their parish, something that others might enjoy and contemplate, he remembered the Schmalz sculpture. Thinking that the Eucharist is one of the very best things the Catholic Church offers the world, he asked the Piltzes if they﷯ wanted to bring this sculpture to Eau Claire. 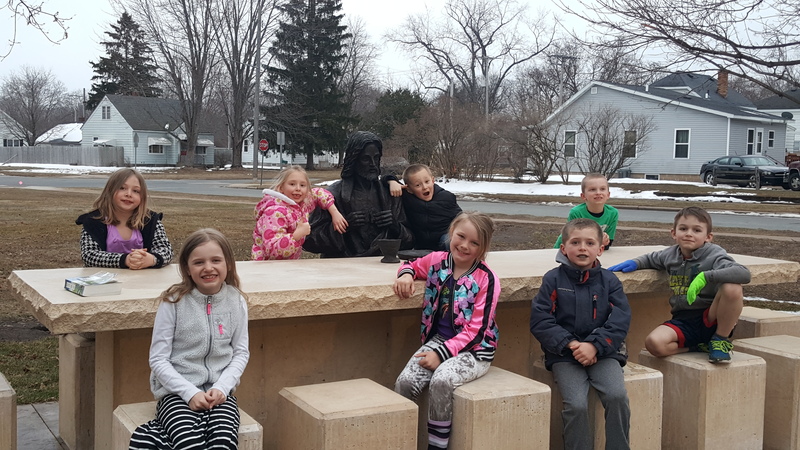 With the help of their financial contribution and the time and talents of Wayne Ripienski and Buesser Concrete, the idea became a reality.